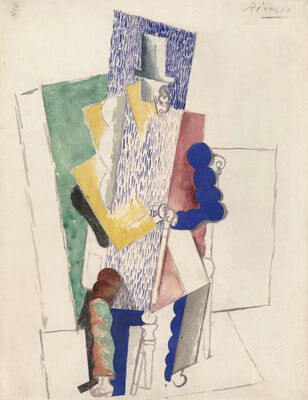 The alleged Picasso seized by Iranian police. Photo: via Latino Daily News. A painting that appears to be the work of Pablo Picasso has turned up in the unlikeliest of places: the small village of Ultan on Iran’s border with Azerbaijan. Iranian police seized the canvas after they learned that a local was looking to sell it for a cool $900,000, reports PressTV. The owner’s name has not been released to the press, but the painting was reportedly part of a private collection of Cubist art. View a real Picasso collection here.